A new study released today by the Mortgage Bankers Association argues that despite home buying sentiment being relatively normal, negativity among home sellers is holding back sales. Of course, it’s not necessarily their fault. Many current homeowners bought at unsustainable prices, and are thus somewhat trapped in their homes. The study, titled “The Great Recession and Attitudes Toward Homebuying,” noted that nearly 80 percent of American households believe now is a good time to buy, but with sellers not on board, it’s extremely difficult to make deals work. Researchers pointed to a few issues. For one, home sellers haven’t adjusted their price expectations enough to meet those of buyers. This could be because sellers believe prices should be based on past market values, such as what they paid or what homes sold for in the recent past. But as we all know, sales prices a few years ago now look outrageous, and just can’t be reproduced in the current real estate market. Along with that, sellers are between a rock and a hard place when it comes to adjusting their sales price because of home equity issues. Put simply, many sellers can’t lower the sales price because they don’t have the equity, or worse yet, are underwater on the mortgage. As a result, they’d have to bring money to the table at closing, which clearly no homeowner wants to do. There’s also straight up hope. Many homeowners who have held on for “this long” are probably banking on home price appreciation to get them out of the mess they’re currently in. Regardless of how bad things are, I would guess that most homeowners expect to come out of the crisis with positive home equity. So selling now wouldn’t make a lot of sense if you think things are as bad as they’ll be and can only get better. Of course, one could also argue that dumping your current underwater property and buying a more appropriately priced home would be a better move. 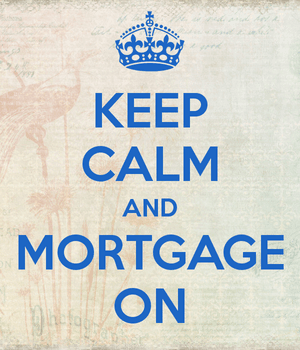 But with mortgage financing being so tricky at the moment, that’s a difficult endeavor to be sure. The study points to negative home selling sentiment over the next five quarters, meaning home sales should remain sluggish over that period, despite relatively low home prices and rock-bottom mortgage rates. This explains why distressed sales, such as bank-owned properties and short sales, continue to dominate home sales. When it comes down it, nobody really wants to sell right now unless they’re absolutely forced to. These types of sales are also hurting the appraised values of non-distressed properties, according to the latest HousingPulse survey released today by Campbell/Inside Mortgage Finance. In short, distressed comparable sales are forcing appraisers to value non-distressed properties below their contract selling prices, which means the sales fall through. Then they sell for less to opportunistic cash buyers, pushing home prices even lower. So it’s a nasty downward spiral, which is further exacerbating the already fragile market and pushing back a possible recovery. In summary, if you’re looking to buy a home, you should now have a better idea as to why everything looks overpriced and unattractive. The good homes aren’t for sale. Read more: Should you buy a house now or wait?